Tell Me a Story Publishing – Igniting discussion through storytelling. In confiding and sharing, our authors reveal new wrinkles in the female tapestry, igniting opportunity for discussion. For two moms, how close is too close? 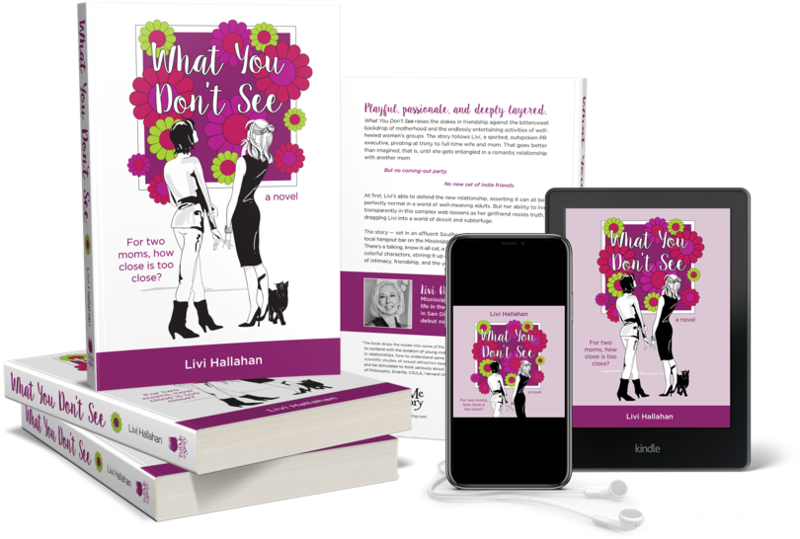 Playful, compelling, and deeply layered, What You Don’t See raises the stakes in friendship against the bittersweet backdrop of motherhood and the endlessly entertaining activities of well-heeled women’s groups. The story follows Livi, a spirited, outspoken PR executive, pivoting at thirty to full-time wife and mom. That goes better than imagined, that is, until she gets entangled in a relationship with another mom. No new set of indie friends. Livi’s ability to live transparently in this complex web begins to loosen, though, as her girlfriend resists truth, dragging Livi into a world of deceit and subterfuge. The story — set in an affluent Southern California neighborhood and a local hangout bar on the Mississippi Gulf Coast — is anything but ordinary. 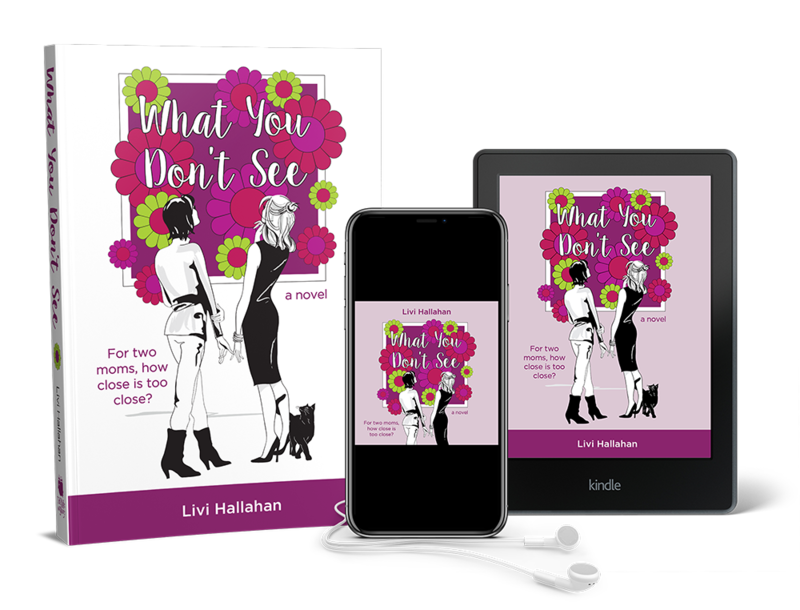 There’s a talking, know-it-all cat; a large, menacing cockroach; and a host of colorful characters, stirring it up as Livi wrestles with timeless questions of intimacy, friendship, and the yearning for meaningful relationships. We’re an independent publisher, please spread the word by telling your friends & writing reviews.